BetaDwarf - Official Blog: Somebody asked for news on the Discord launch? Somebody asked for news on the Discord launch? Blog post on a Wednesday? Has to be important, right? Well, we had a great Dwarf stream yesterday, thanks for watching everyone. We also had an important message to spread and since we know that not all of you can make it to the stream and/or watch the VOD in time, we decided to repeat the message here on our blog. We’re happy to announce huge progress regarding the Discord store! The Discord launch is fast approaching and we need to get the servers ready for loads of new players. Unfortunately, we cannot talk about specifics such as exact dates and times at this moment, but we can share with you that we will make a massive stress test starting Sunday, September 30th at 16:00 UTC. This stress test will run until 21:00 UTC on the same day. The aim is to test our servers and we'd love every single one of you to join. Update: we might want to decide to let the stress test run for a longer time period than intended. We will keep you updated on that subject as soon as we have a final decision from all involved parties. Battle Pass Season 2 ends early! 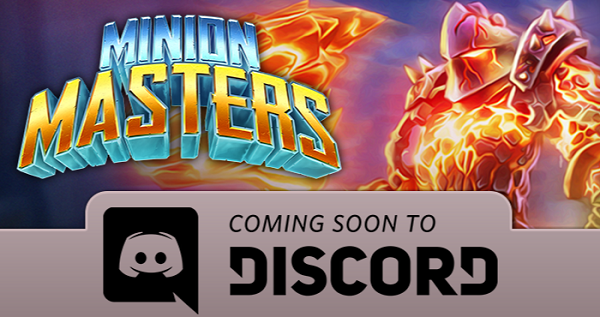 On another front, we're trying to make the new experience fit as well as possible for new players on Discord launch. Aligning the Battle Pass Seasons is an obvious step towards that goal. It'd just feel bad for new players to join the game and find a Battle Pass with - probably - only a few days left to progress through. To that end, we're ending the current Battle Pass Season about a week early on October 8th. Of course, this means you have less time to grind that sweet Battle Pass XP and you need to reach the end right? We thought about that and decided to start a special quest that gives you 12 Battle Pass tiers for just winning 12 times! This quest will start with Update 77 and runs until the end of the season. The new Battle Pass Season 3 is scheduled to start on October 8th. Remember to check the teaser website for details, lots will be revealed tomorrow! With the Discord launch fast approaching and us needing to prepare, Update 77 took more work than originally planned. We need to test server infrastructure and a few other things came up, so we are unsure if we can release today as planned or if we need to delay the update until tomorrow. Please watch out for announcements on Discord, Reddit & Steam regarding that. On a sidenote: the server downtime will be longer than usual due to various updates & upgrades on our side. Thanks for your understanding in advance! That's all for today, Masters! We're looking forward to seeing you on Sunday to make our servers crash and the Dwarves in the office sweat. Thanks for being awesome!